Colleaga fundamentally believes that open healthcare improvement information should be a freely available global resource for us all. Colleaga is a social venture funded through fee-based solution offerings and services and also through the generous support of a distinguished group of foundations, companies and individuals. We believe that a strong, sustainable business model is essential to our ability to achieve our goals – to collect and disseminate global health system improvement information and create a network for everyone who is interested in healthcare improvement. The Colleaga Founding Board has authority of all the businesses and affairs of Colleaga. The Colleaga Board solicits advice and guidance from an international network of experts who have agreed to give meaningful help in many different areas, including content, organizational development, technology, policy, legends and outreach. Dr. Dan Gordon is Board Chair of Colleaga, a social venture combining an open access, free repository of the world healthcare system improvement knowledge and healthcare network. Dan is Innovation Lead in the IBM GBS Global Healthcare Centre of Competence, a worldwide team of senior subject matter experts who assist global policy makers and healthcare delivery organisations improve outcomes, efficiency and effectiveness. Dan has led numerous global assignments and is an insightful team player and catalyst for effective business renewal. With his extensive knowledge and expertise in the areas of Health Information Technology, eHealth adoption, Telehealth, Health Services planning and Business Intelligence, Dan was able to create Colleaga, the next big step in healthcare improvement. 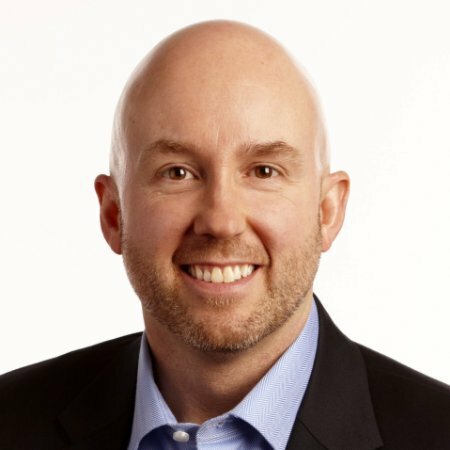 Prior to joining IBM, Dan founded Praxia Information Intelligence, a Canadian health systems consulting company with a national practice in health system management, eHealth and Analytics in healthcare. Dan has had prior senior management roles in healthcare delivery, responsible for major projects including Electronic Health Records, Organizational performance measurement and Business intelligence systems. Dr. Kathryn J. Hannah is a nurse and a senior health informatics consultant specializing in information management in health environments and an appointed Member of the Order of Canada. With over 30 years of experience in academia, health care delivery, government and the private sector, Dr. Hannah has a rich depth of knowledge and experience in health care delivery organizations, the health system and in nursing. She also has extensive experience in knowledge transfer and change management as a consultant, workshop leader and an educator. Her skills and experience as a facilitator are respected internationally. Currently, Dr. Hannah is Health Informatics Advisor to the Canadian Nurses Association (CNA) and Executive Project Leader of Canadian Health Outcomes for Better Information and Care (C-HOBIC) project.Dr. Hannah has held senior management positions in health care delivery and in government and has taught and conducted research in her role as Professor in the Faculty of Medicine at the University of Calgary. 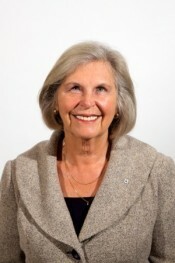 Dr. Hannah has worked as an elected member and chair of many health care quality committees such as the Standing Committee on Quality at the International Health Terminology Standards Development Organization (IHTSDO), the Delegation for Canada at IHTSDO and the Canada health Infoway Standards Collaborative Strategy Committee, the World Health Organization (WHO) and the Pan American Health Organization (PAHO). Dr. Hannah’s contributions to health care informatics have been recognized by election to Fellowship in the American College of Medical Informatics, the title Maestro Illustre, the prestigious Centennial Award by the Canadian Nurses Association and the Canadian Health Informatics Award (CHIA) for Leadership. As the Chief Operating Officer for the Winnipeg Regional Health Authority (WRHA) Health Sciences Centre, Adam has the overall responsibility for two of Winnipeg’s hospitals: 20 direct reports, 8000 staff, 1,000 beds, and an operating budget of approximately $750M. He is the executive lead throughout the Winnipeg Regional Health Authority for programs in Child Health, Women’s Health, Diagnostic Imaging, Critical Care, Clinical Engineering, Patient Transport and Respiratory Therapy. Adam’s role as COO for the WRHA has proven him as senior executive with a unique background in financial and operational leadership in the health services sector and consulting. He has successfully led complex strategic challenges – including post-merger priority setting and strategy, master facilities planning development and implementation, and hospital ownership transfers. Adam has significant breadth of operational experience, with a demonstrated ability to implement change and translate strategic directions into functional and accountable organizations capable of delivering concrete results. He is dedicated to practical applications of research with a strong belief in life-long learning and staff empowerment; a respected, consultative leader with an ability to make difficult decisions. Prior to working for the WRHA, Adam was a senior associate consultant for the Hay Group Health Care Consulting Firm. In this role, Adam consulted on diverse healthcare assignments for federal and provincial governments and agencies, regional health authorities, hospitals, LHINS, service providers throughout Canada and private sector healthcare OEMS. For 8 years, Adam worked at Sunnybrook & Women’s College Health Sciences Centre in lead roles such as Vice President of Clinical Operations, Vice President of Corporate Performance & CFO, and Chief Financial Officer. In these roles, Adam led successful development and implementation of budget processes, clinical efficiencies, and clinical operations throughout the hospital. Adam holds a Diploma in Health Administration from the University of Toronto, as well as a Master’s degree in Business Administration from McMaster University. A growth expert specializing in technology companies. Twenty five years of experience in managing risk, developing responsible growth and mentoring success. A passionate leader with a strong history of cultivating collaboration and leading high performance teams. As CFO of Camilion Solutions (sold to SAP AG) was recognized for taking Camilion from pre-revenue, through aggressive growth, and eventual strategic exit. Experience includes organizations such as Ernst & Young, the Bank of N.T. Butterfield & Son, Dell Computers, Camilion Solutions, and Mercatus Technologies. Ian is the founder and Creative Director of Pivot Design Group in Toronto. He sees design as a strategic driver to improve the health and well being of people, services and organizations. Ian’s recent focus has been in the healthcare vertical, bringing a people-centered design research focus to the work Pivot creates for Colleaga. Ian oversees the creation process of the site and is responsible for shaping the user experience. As the founder of the now globally recognized event DesignMeets, Ian has been a part of tackling Design Thinking as a method to solve wicked problems that exist in HealthCare (#mHealth), Financial Services (#FinTech), and Public Policy with over 2200 attendees, 84 speakers, 15 themes and in 4 cities. 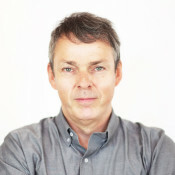 He is also an advisory board member of Sheridan’s Bachelor of Interaction Design Program Advisory Committee and George Brown School of Design’s Design Management Program Advisory. With over 20 years of experience, Ian has brought operating methods and thinking that embrace the human element to the Colleaga experience. His creativity in internal and external communication, management and life offer Colleaga a disciplined design research process that embraces both intuitive and analytical thinking. 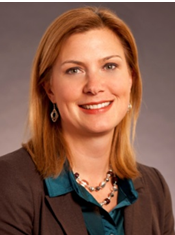 Erin Gilbart is a doctoral-trained professional with expertise in performance measurement, quality improvement, and strategy mapping and scorecard production. She has extensive project management experience in government, hospital, home care and academic settings. Dr. Gilbart is lead for Colleaga Content Creation in which she oversees and directs the output of health care improvement content. Dr. Gilbart’s extensive knowledge of healthcare improvement methods permits Colleaga to offer the most effective content designed to improve global healthcare systems. Dr. Gilbart has worked as a Senior Knowledge Management Consultant with Alberta Health Services and with 2by2 Strategies, a multi-faceted HR and Business Consulting firm. Dr. Gilbart managed the development of the Ontario Health System Scorecard, development of a strategy-mapping toolkit for Ontario hospitals and participated as a Ministry representative on the Joint Policy and Planning Committee indicator-working group. Scott is the founder and president of the BlueSprocket Group; which provides strategic business advisory and development services to technology companies with solutions that enable better healthcare. 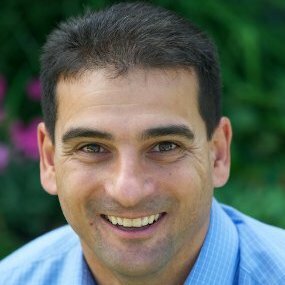 With 15 years of experience as an advisor and consultant to small technology ventures and start-ups with solutions for the healthcare industry, Scott has held positions with CarePost Inc., Matrix Telemed, PointerWare Innovations, and GestureTek Health (acquired by Qualcomm Life) and others. Mr. Robinson’s in-depth understanding of the healthcare industry as well as the marketing field, allows him to approach the Colleaga business model with unique and creative ideas. Prior to founding BlueSprocket, Scott was President and CEO of MediPort Canada Inc., a firm delivering business solutions to the long-term healthcare industry. 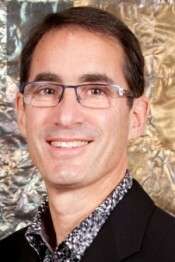 For 8 years Scott was a Senior Executive at Dell Canada holding various positions including Head of Marketing for Canada and Business Unit Manager responsible for the design, development, implementation and operation of Dell.ca, the largest e-commerce business in Canada with revenue growth from nil to $450 million in 18 months. Prior to Dell, Mr. Robinson held various management positions in corporate banking over 5 years. 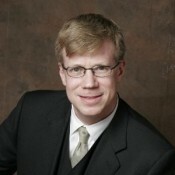 Scott holds an Engineering degree and an MBA in Business Strategy and Finance. Senior executive with 20 years of technology, telecom and channel management experience in both high-growth start-ups and revitalized Fortune 500 companies. As a Chartered Accountant with extensive operational (COO) experience, Patrick is a strategic thinker who is adept at balancing strategic planning with a hands‐on, "CA" approach to tactical execution to deliver short and long-term results. Demonstrates a unique ability to lead and develop both large and small organizations to significantly improve the overall capability, effectiveness and value contribution of the team. A proven track record of focusing and energizing businesses to achieve profitable growth objectives, and an expertise in channel management.